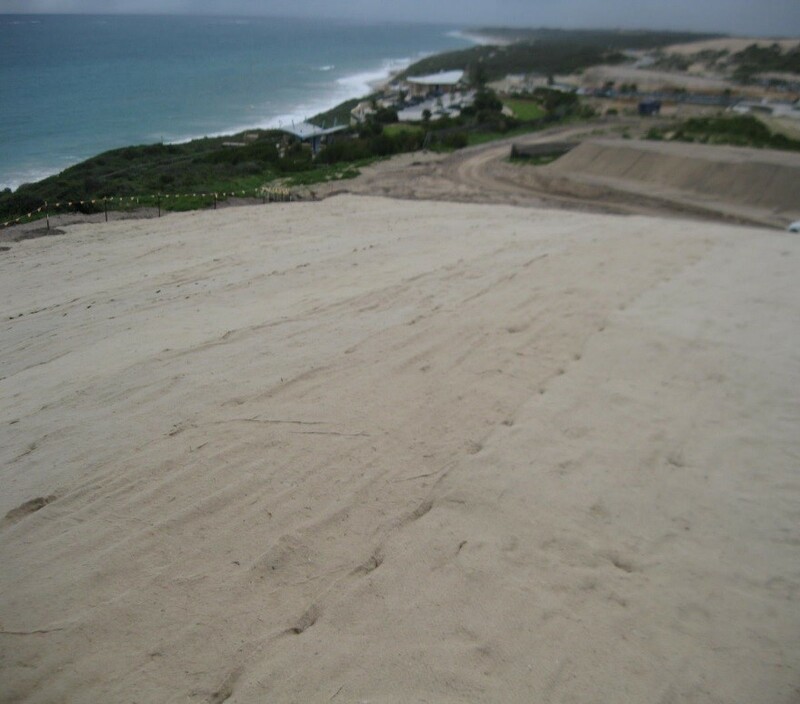 Summary:In 2013 Tranen was commissioned to stabilise and rehabilitate a highly exposed 1 ha reprofiled dune system. Over 20,000 seedlings were planted. Progress was excellent with all targets met, one year into the two year maintenance program. Project delivered on time and 14% under budget. 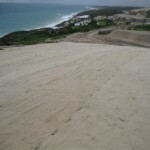 In 2013 Tranen was commissioned to rehabilitate a 1 ha reconstructed dune. 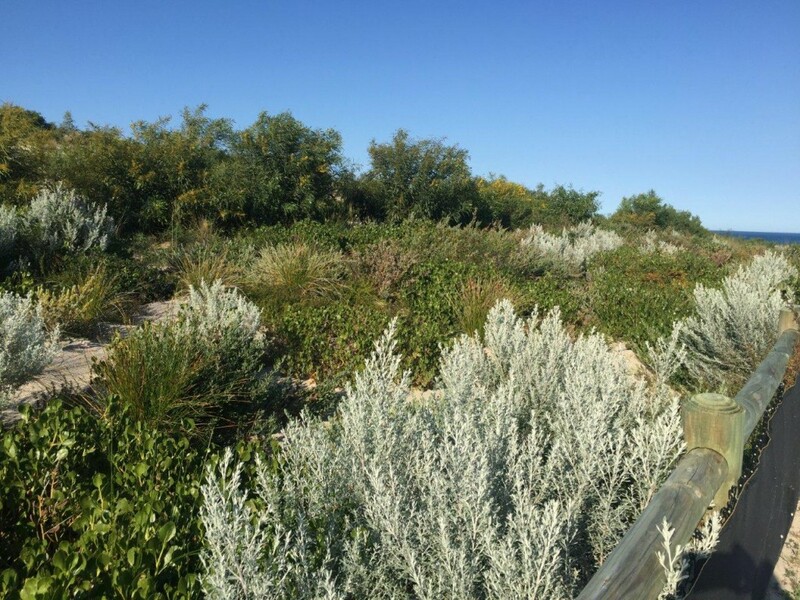 The intent was to stabilise and revegetate the dune, to blend in with the natural surroundings. Being located on the coast and facing west, the site is highly exposed to the prevailing coastal winds. Surface stabilisation was seen as critical to allowing plants to establish and provide longer term protection. Rabbit activity was also identified as being high in the area prior to rehabilitation. Rabbits proved to be a significant threat to plant establishment, and control measures were put in place to mitigate their impacts. 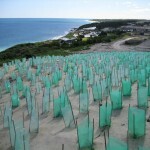 Erosion protection in the initial phases was through the installation of jute matting. 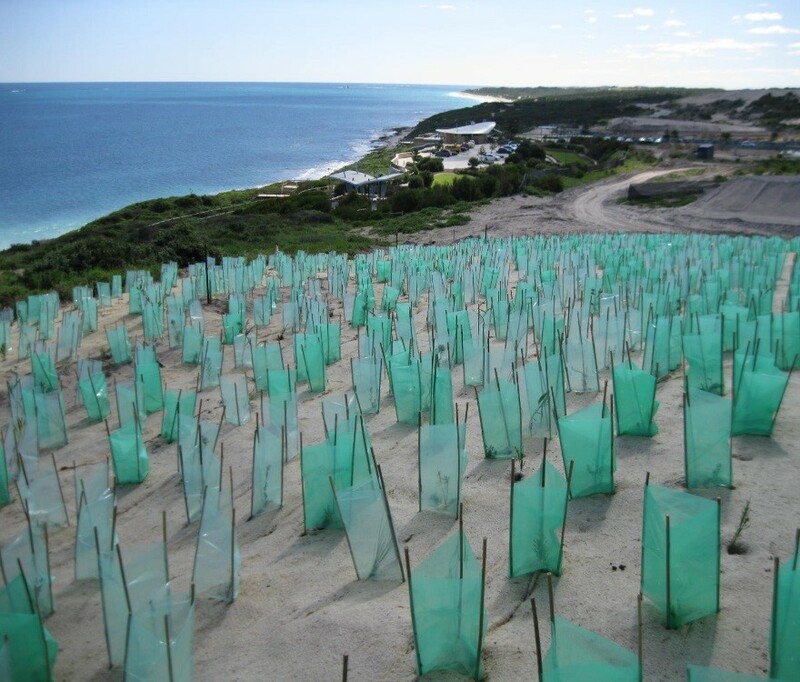 This was to be installed across the entire 1 ha of disturbance, but it was not possible to install it in one central section of shallow sub-surface limestone, where planting was also difficult. This section was later direct seeded. Planting was undertaken at a density of 2 plants / m2 (20,000 seedlings), aiming for an ultimate density of 1.6 plants / m2 at the end of the two year maintenance period. 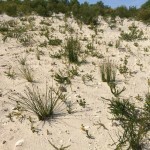 Only locally occurring dune species were planted in the program. Rabbit activity was high in the area, so tree guards were installed around some of the planted seedlings. 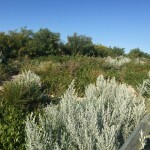 This provided initial protection, but once the tree guards were removed, rabbits targeted the plants and herbivory was evident, with some species damaged more than others. A targeted rabbit control program was then initiated which included targeted Pindone baiting and RHDV virus release. Initial survival rates were high, and progress was on track from the beginning. The jute mat limited germination of weed seeds blown onto the site from surrounding areas. 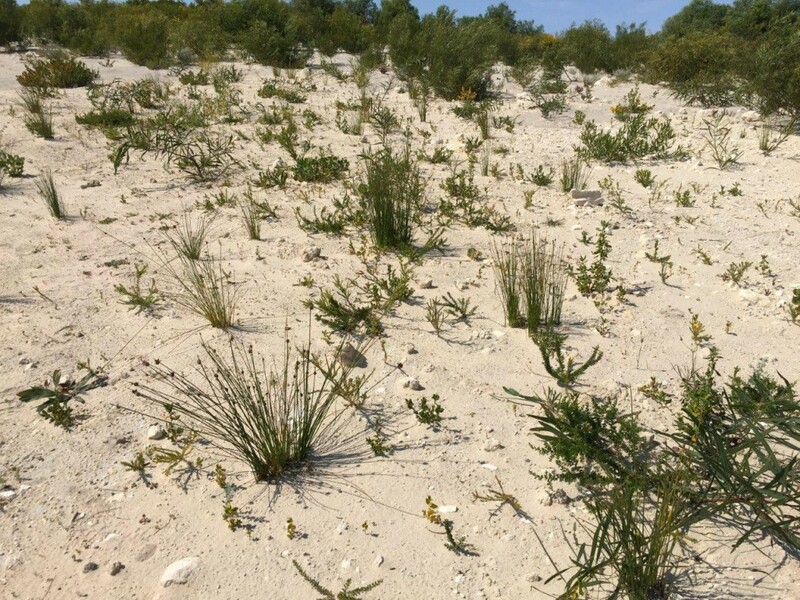 With the infill planting and seeding undertaken in 2014 in selected areas that were not performing as well as others, there is now a consistent result across the site. Infill planting originally scheduled for 2015 was not considered necessary. The project was delivered on schedule and 14% under budget.